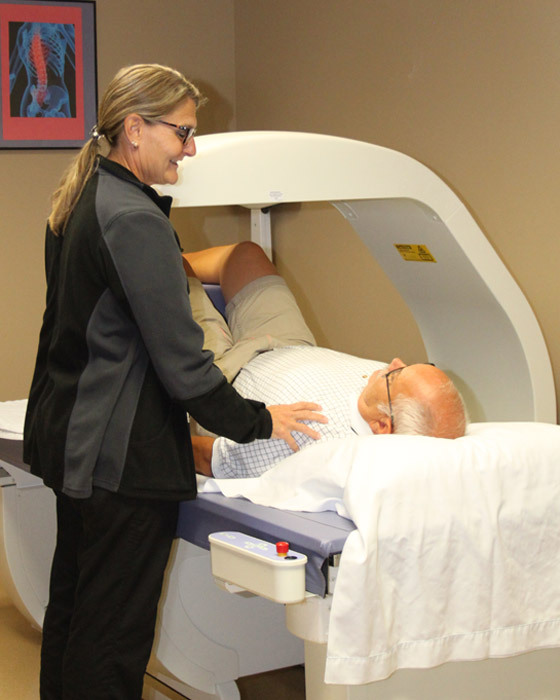 Memorial Hospital Radiology and Imaging offers a full range of diagnostic services. Tests require a physician’s referral. To schedule a test, call (785) 263-6660. 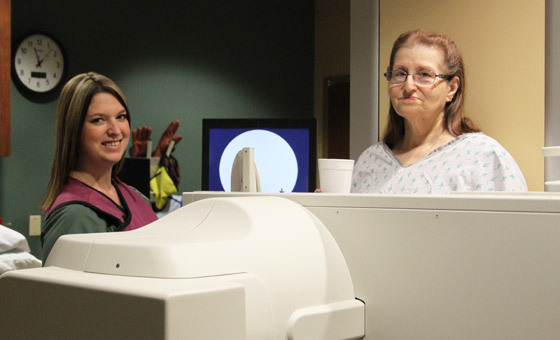 This department is staffed with Registered Technologists accredited through the American Registry of Radiological Technologists and licensed by the Kansas State Board of Healing Arts. All examinations are reviewed and resulted by board certified Radiologists accredited through the American College of Radiology. MRI (Magnetic Resonance Imaging) is a diagnostic technique that uses a magnetic field rather than radiation to produce pictures of structures inside the body. It is a non-invasive procedure that creates detailed images of the soft-tissue organs and vessels of the body. A CT (Computed Tomography) scan is an x-ray that creates cross-sectional images of the body. By viewing these sections in sequence, the Radiologist is able to create a three-dimensional image of the area being examined. 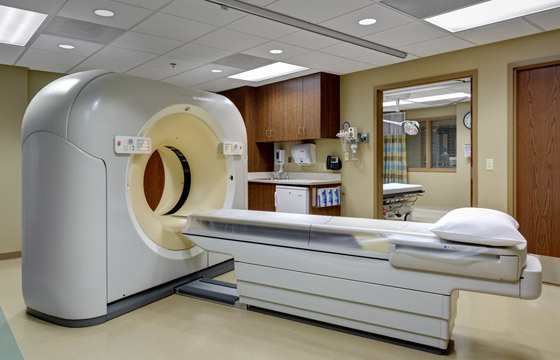 Memorial Hospital uses a multi-slice CT scanner. Bone density testing can help detect risk for osteoporosis. Detection can allow for treatment that could slow or prevent osteoporosis from occurring. The Dual-Energy X-ray Absorptiometry (DEXA) test determines a patient’s bone strength using a small amount of x-ray. Diagnostic radiology gathers information about the inside structures of the body using ionizing radiation. It is a painless way to obtain detailed information that helps a doctor assess a medical condition. Fluoroscopy captures video to show organs in action, such as the esophagus during swallowing. WE NOW HAVE 3D MAMMOGRAPHY!!! The latest and best technology available right here. A mammogram is a series of X-ray images of breast tissue. It is a valuable screening tool that can detect breast cancer early, before a suspicious lump can be felt. 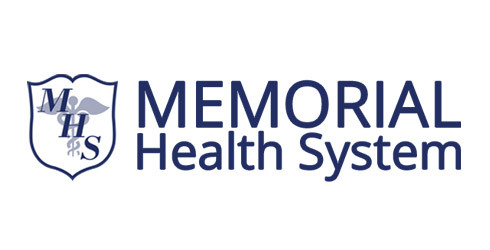 Memorial Hospital uses digital mammography. Every October, Memorial Hospital Radiology and Imaging celebrates Breast Cancer Awareness Month with drawings and prizes for everyone who schedules a mammogram during that month. The mammography services at Memorial Hospital are accredited by the American College of Radiology (ACR). This means that the facility, staff, and equipment have achieved high practice standards and meet nationally accepted standards of care. Nuclear medicine is used to detect many types of cancer, fractures, infections, and even subtle fractures missed on an X-ray. It also evaluates gallbladder function. This procedure uses radioactive substances called radioisotopes (in very small quantities) to produce images of specific organs or bodily functions. Ultrasound is a diagnostic technique that uses high frequency sound waves to produce images of structures inside the body. A general ultrasound is used to show images of organs that are soft or filled with fluid. A Prenatal Ultrasound uses high frequency sound waves to produces images so you can see the progress of your baby’s growth and find out the gender of your baby (if you wish). An OB ultrasound is typically performed around 20 weeks gestation, but talk to your doctor to know when you should schedule an appointment for your prenatal ultrasound. Some ultrasounds are performed earlier to determine the presence of more than one fetus, the due date, the health of the baby, and more. A non-invasive vascular ultrasound uses sound waves to produce images of the veins and arteries to check for clot formation or other blood vessel abnormalities. An echocardiogram is an ultrasound examination of the heart. It allows the technologist to measure the heart wall thickness, chamber size, valve function, and blood flow velocities. An electrocardiogram (EKG or ECG), is a simple, painless test that records the heart’s electrical activity. This test shows how fast your heart is beating, whether the rhythm of your heartbeat is steady or irregular, and the strength and timing of electrical signals as they pass through each part of your heart. To contact the MHS scheduling department, please call (785) 263-6660. If you would like more information about Memorial Health System’s Radiology & Imaging Services department, please call us at (785) 263-6638.